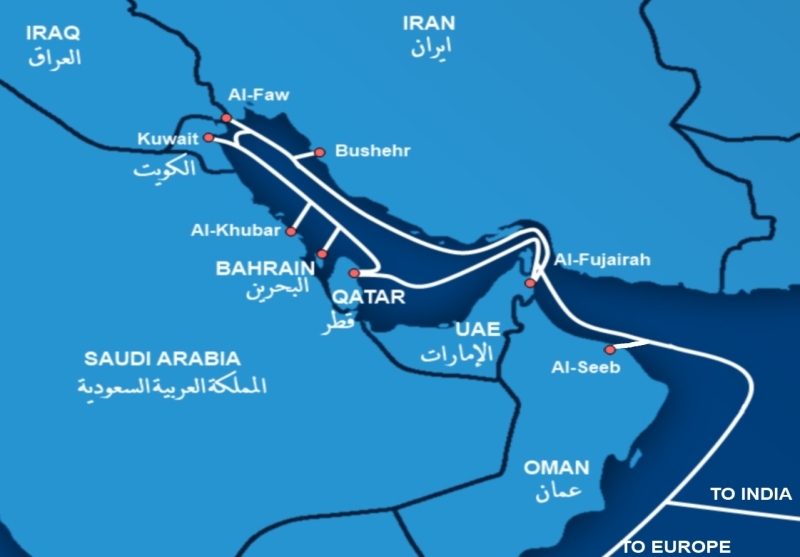 The Middle East has itself a new cable system today, as TE Subcom and Gulf Bridge International (news) have formally announced the completion of work on the cable system, saying that the whole system will be 'Ready for Service' in the next several weeks as they finish up with the final details. The system's primary asset is of course its loop within the Persian Gulf, where it lands in eight countries. The Gulf is then connected to the west via Egypt and Sicily and to the east via India. Capacity will start at 5.18Tbps, but with 100Gbps technology already succesfully tested that obviously is a lower bound. Notable is the fact that this system is regionally owned and operated, making it quite different from the consortium cables controlled by groups of international telecommunications giants that have dominated connectivity in the region to date. We interviewed GBI's CEO Ahmed Mekky here in October, discussing both the dynamics behind the project's origins and construction and their possible plans for expansion here.